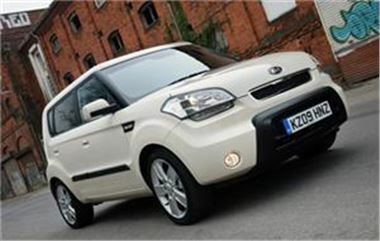 More people in the UK are considering Kia models when buying a car, the manufacturer has suggested. The company claimed the popularity of its vehicles is growing all the time, with 1,000 Soul autos sold within 100 days of the vehicle's release in the country. Overall, the Soul 2 has proved the biggest hit – accounting for about half of all sales. Managing director Paul Philpott claimed the model was a success because it offers quality and value. He added the number of sales achieved so far was quite a feat, considering the state of the economy. "The design is fresh and exciting and it is bringing new customers to our brand for the first time – it really is a Kia that turns heads," Mr Philpott concluded. Meanwhile, motorists who prioritise safety when buying a car may be impressed to hear the Soul was awarded a maximum five-star rating by Euro Ncap when it was tested earlier this year.